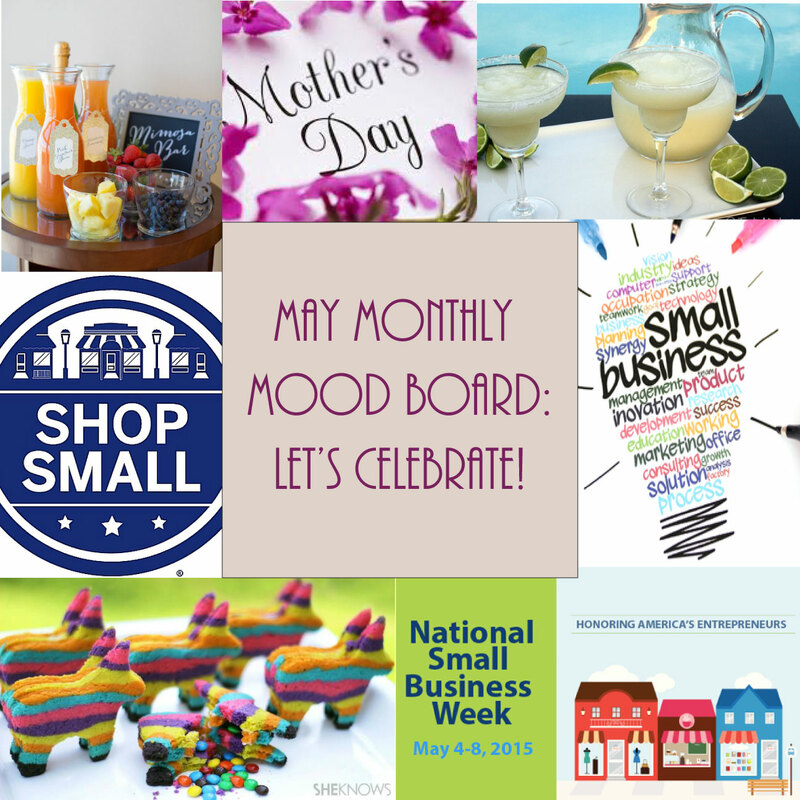 May Monthly Mood Board – Let’s Celebrate! This month is all about celebrations. We kick off with today being Cinco de Mayo and we know a lot of you will be out celebrating with some Mexican food and Margaritas. This weekend we will take a day to celebrate and honor our Mother’s and this entire week of May 4th –May 8th is National Small Business Week! That being said there is a lot to celebrate and being a small business ourselves we plan to extend National Small Business Week into month here at F.I.N.D.S. and celebrate all the great small businesses out there and hopefully introduce all of our readers to some new ones you have not yet heard of. This month will feature interviews with business owners along with products available from some of the great small businesses out there. This way you will find something new and fun and hopefully help support other small businesses in the process. We hope to inspire you to seek out some of your local small businesses as well and shop local all the time. To start this month of celebration we whipped up a batch of these fantastic Cinco de Mayo Piñata cookies we found on SheKnows. We thought it was a fun way to kick off a month of celebrating!